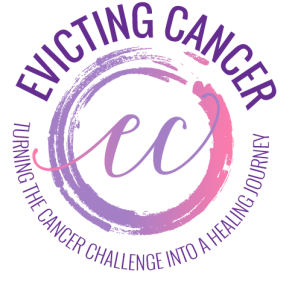 If you or someone you love is dealing with cancer, you need to check out this affordable 4-week virtual live coaching program designed to support you, step-by-step, in powerfully shifting the cancer odds in your favor. You also need to know that for long-term results, conventional treatment, by itself is NEVER enough. 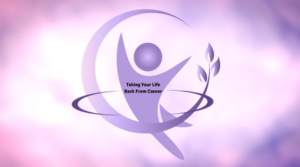 You need to change the terrain in which the cancer was allowed to flourish in the first place – and you need to repair the inevitable damage that results from even the most effective chemotherapy or radiation treatments. If you have chosen not to do conventional treatment or if such treatment has failed you, it is essential to actively harness and amplify your body, mind and heart’s innate healing abilities by supplying them with many tools that can literally help turn off cancer-causing genes and turn on cancer-fighting ones. Epigenetic research* is showing how our thoughts, emotions, lifestyle and dietary choices literally alter genetic expressions in ways that can support the onset/progression or healing of disease. This 4-part training provides a roadmap and overview of what truly supports healing from cancer. You’ll be able to assess where you are in these different domains. You’ll learn which foods, essential oils and herbs Mother Nature has provided to alter key genetic pathways towards healing. You’ll be introduced to exercises that involve emotional, energetic, mental and spiritual practices that have been scientifically shown to initiate levels of healing once deemed impossible – or that have traditionally shown up as poorly understood healing miracles or spontaneous remissions. Going along with both of these approaches, you will be provided several tools and lifestyle upgrades that enable your body – and your mind – to get rid of toxic substances and emotions that hinder healing. There is no one magic bullet! Well, I want to reach as many people as possible and, having been a cancer coach for over a decade, I am well aware of the financial challenges of cancer patients to cover their most basic medical and living needs, let alone adding new costs. SO, I’ve cut the price of the program in half to allow more people to participate and to have more funds to implement the things you will learn. No matter how valuable one-on-one coaching is, I’ve discovered that it is often out of reach for many people wanting and willing to be proactive in taking their lives back from cancer. And since I am passionate about helping such people, I’ve created this affordable, game-changing program. If you are one of these people, come join me. Just find the dates that work for you. Next class begins August 7!